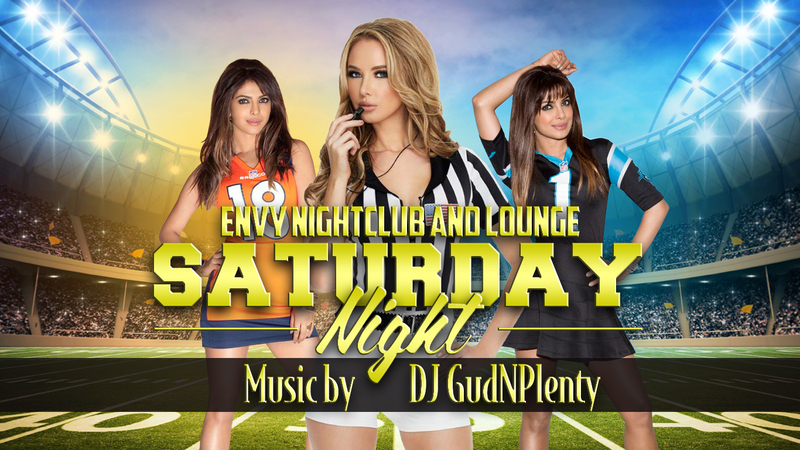 DJ GudNPlenty returns to Envy Nightclub and Lounge. Come on out and dance all night long to all your favorite Top 40 hits, Old Skool HipHop and RnB, Mashups, Remixes and of course, ALL your on the spot requests until the sun comes up! In honor of SuperBowl Weekend as well, feel free to come on out and rep your favorite NFL team by sporting their team jerseys and attire! We also have AWESOME Birthday Specials going on so call Toby at (801) 231-3096 if it’s your birthday or a friends birthday and we will hook you up! ✅ VIP Bottle Service Available!